REGINA IMPROV SYMPOSIUM: SAYING YES / EXPLORING CREATIVE GROWTH was an enormous success. 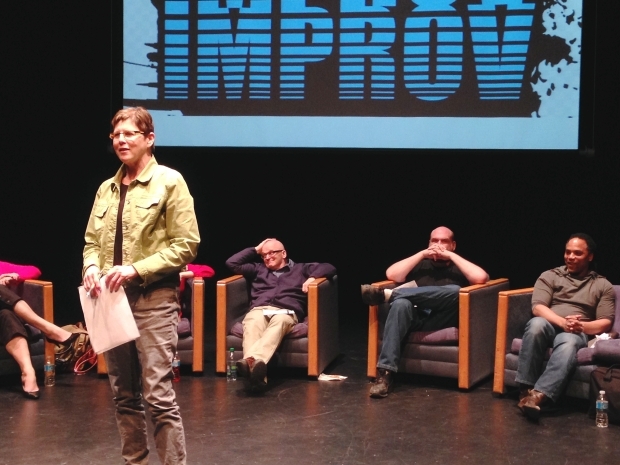 Author Anne McDonald explains how she uses improv as part of her writing process at the Improv Symposium held Thursday at the University of Regina. Natascia Lypny/Leader-Post. The Improv Symposium, “Saying Yes,” recently took place at the Regina Improvisation Studies Centre. The Regina Improvisation Studies Centre, directed by Dr. Rebecca Caines, is part of the new SSHRC funded partnership with The International Institute for Critical Studies in Improvisation (IICSI). 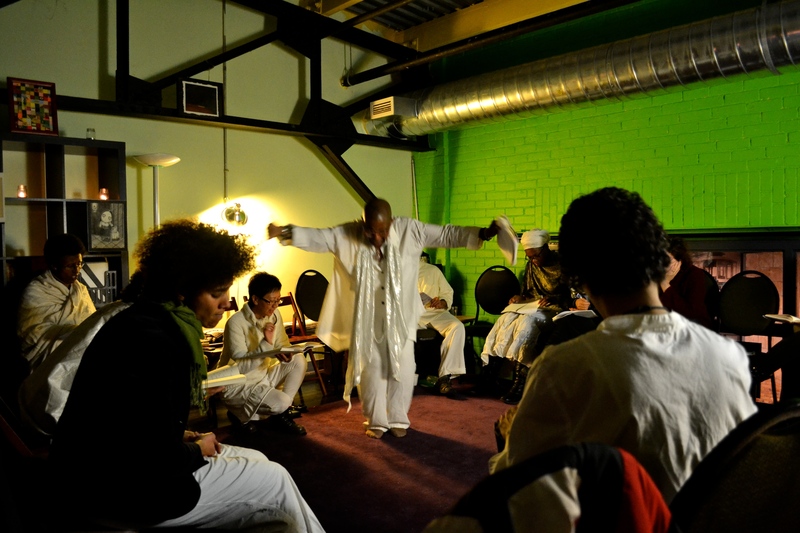 The symposium looked at improvisation as a means for social change. The symposium focused on various lines of inquiry in regards to improvisations studies, such as, How can we shift public understanding of improvisation as a means to “maximize the moment;” to realize its potential to create innovative art and address social challenges? See the full media coverage of the event in Regina’s Leader-Post, here. For this month’s Oral History we travel back to 2009 for a vibrant discussion between Roger Dean, Tracey Nicholls, and Rebecca Caines. Dr. Benjamin Authers facilitates a discussion with the three aforementioned ICASP researchers who cover a range of topics related to improvisation and social policy. View this month's Oral History page for short researcher biographies followed by the interview, included below. 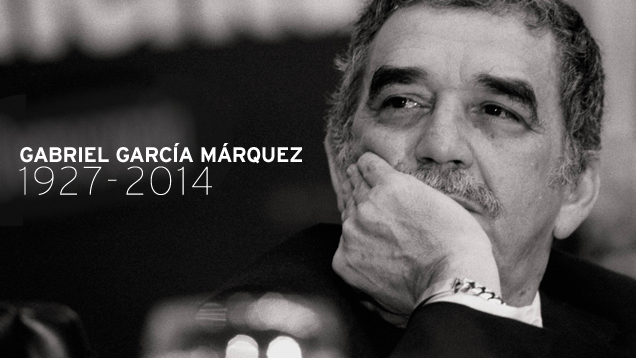 On April 17th, 2014, Gabriel García Márquez passed away at his home in Mexico City. He was 87. Márquez was a revered Colombian novelist, screenwriter, and journalist, known affectionately as Gabo throughout Latin America. He is considered one of the most important writers of the 20th century and in 1982 he won the Novel Prize for Literature. He is known for his use of magic realism, and what we might want to refer to as metaphors of improvisation. His work, The General in His Labyrinth is a kind of improvisation on the life of the 19th-century revolutionary Simón Bolívar, while his most famous work 100 Years of Solitude is full of references to ad-hoc performance, improvisation, and community. In this textured work, Márquez masterfully fuses the extraordinary with the realistic in a rich world of imagination. In the 1950s and '60s, the Five Spot Café (in two locations on Cooper Square) was a major nexus, not only of top-notch jazz, but also of racial integration and artistic ferment. Leonard Bernstein, James Baldwin and, Norman Mailer were all in the mix alongside Thelonious Monk, Charles Mingus and, John Coltrane. When saxophonist Ornette Coleman and his band played for several weeks in 1959, they disrupted the scene’s social status quo as well as altering the sound of jazz. What is the downtown jazz scene like today – are there any parallels? Karen Loew of the Greenwich Village Society for Historic Preservation will moderate a panel discussion with David Neil Lee, author of The Battle of the Five Spot: Ornette Coleman and the New York Jazz Field; Stacy Dillard, saxophonist and composer; and jazz critic Howard Mandel. A book signing with Lee follows the discussion. Co-sponsored by the Greenwich Village Society for Historic Preservation and The New School for Public Engagement as Part of Lower East Side History Month. This event is free, but reservations are required by calling 212.475.9585 x35 or emailing rsvp@gvshp.org. Supporter - Name your amount - thank you! You’re helping to keep the lights on, the programming flowing, and the music massaging your brain. Member - $80 - 50% off all shows for 1 year. Subscriber - $150 - Unlimited admission to all silence events for 1 year. Come to everything! ...plus a steady stream of arty goodies from the silence community and the satisfaction of helping to support our work. Sign up here and your membership will be valid until august 1st, 2015 - that’s an extra couple of months for you early adopters! Check the Silence webpage for more details. 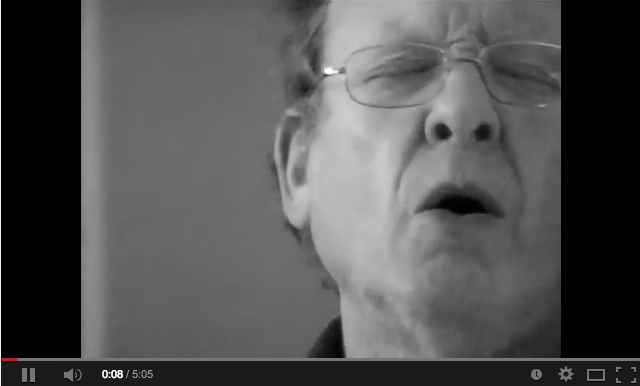 This year’s Thinking Spaces series has frequently emphasized vocal improvisation. We will build on this in the coming months by offering free vocal exploration gatherings, including a FREE workshop with the legendary Phil Minton and Maggie Nichols on Tuesday, June 24th, 2014 from 7:30pm-10pm at Silence Guelph (46 Essex). 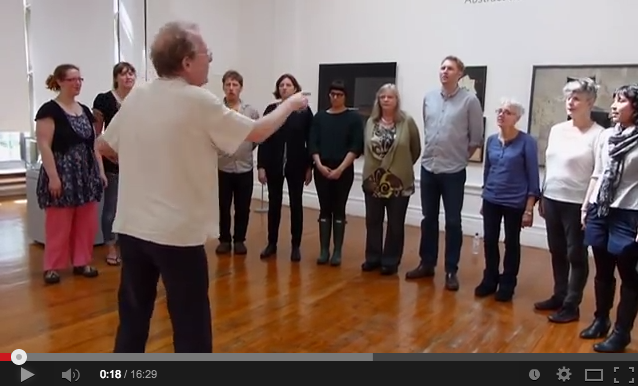 More details about the vocal workshop series, here. No previous vocal experience is required for participation. Interested participants must register for individual workshops or the full five workshop program in advance by sending an email to ctonelli@uoguelph.ca. The workshops will be followed by a day long Symposium on Voice, Agency, and Improvisation to take place at the Macdonald Stewart Art Centre on June 26, 9:30-5pm and an evening concert with all of the guest instructors in collaboration with workshop participants will occur at 8pm at the Guelph Youth Music Centre. All of the events are free and open to the public. Phil Minton is a free jazz and improvising vocalist (and trumpeter) with a wide range of voices and extended vocal techniques. 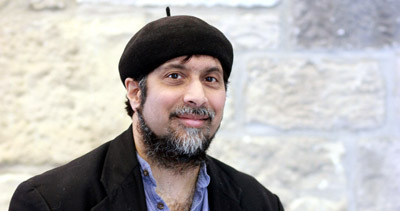 Minton is known for his theatrical baritone and his vocals include everything from burping, screaming, muttering, and crying, and he has a unique ability to produce two notes simultaneously. Minton has focused much of his efforts on literary texts, performing lyrics by William Blake, as well as extracts from James Joyce’s Finnegans Wake with his own ensemble. His material is always original, and his dedications always diverse, as he once participated in a Jimi Hendrix tribute project—belting the lyrics out. His album, Songs from a Prison Diary (Poems by Ho Chi Minh) is truly a masterwork of modern creative music, composed for solo voice, choir, piano, and percussion, containing early baroque tenants and contemporary improvisational shades throughout. 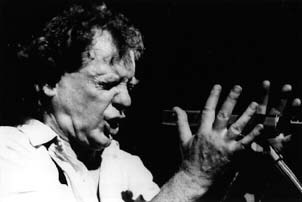 Born in the Southern coast in England in 1940, Minton began as a trumpeter, playing in various jazz bands in late 50s, and doubling as a trumpeter/vocalist for the Mike Westbrook Orchestra in London in the mid-60s. He’s travelled and lived all around the world, from the Canary Islands to Sweden, and in the 1970s he worked in a variety of venues, from improvised duos to theatre groups. One of his most known groups at this time was the vocal trio Voice with Julie Tippetts and Maggie Nicols. As an improvising vocalist, Minton has performed all around the world with a range of creative musicians, including Peter Brötzmann, Fred Frith, and Derek Bailey’s Company. He has also maintained a longtime collaboration with pianist Veryan Weston. 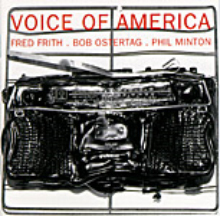 In 1982, he collaborated with Bob Ostertag and Fred Frith on the audacious Voice of America, appearing on part 2. Ostertag describes the ad hoc performance of this piece, which was very literally improvised on the spot: “A few months later Fred and I were in London for a concert. Moments before going on, my synthesizer was destroyed in a technical mishap. I was left with my cassette set-up and a contact mic I either kept between my teeth or used to amplify various toys. Fred had brought only a piece of wood with a few screws at either end and guitar strings strung between them. With my synthesizer still smoking, we hastily recruited Phil Minton out of his seat in the audience and without any time for discussion began the set that became Voice of America Part 2.” Minton, Frith, and Ostertag are proof that good improvisers are ready to go at a moment’s notice. Have a listen to “Voice of America” (Part 2) below, along with other pieces, and if you are in Guelph we hope to see you at the Minton workshop on June 24th, 2014 from 7:30pm-10pm at Silence Guelph (46 Essex). Download “Voice of America” (Part 2) from Bob Ostertag’s website, here. 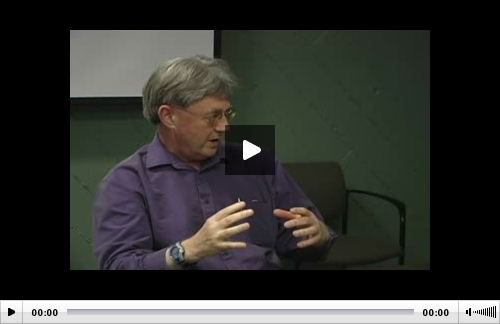 Check out ICASP GRA Paul Watkins’s interview with the great M. NourbeSe Philip. Her most recent work is a powerful untelling of the massacre of nearly 150 enslaved Africans during a transatlantic voyage. The poem, entitled Zong!, is the driving force behind this honest and intelligent discussion on improvisational arts, slave narratives, hauntings, amnesia, silence, and storytelling. “PW: About a year ago in Toronto, I heard you read Zong! in non-linear fashion with over twenty readers improvising the poem’s multiple meanings in discordant unison. While I think you might be more inclined to see your long poem in the jazz aesthetic, the multiple echoes (the dubs/duppies of the drowned African voices) in Zong! allow it to fit within multiple contact zones of sonic, oral, textual, and multimodal traditions. 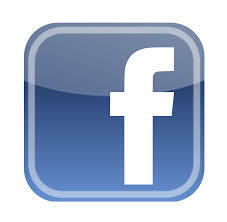 What do you think of reading Zong! as an improvised dub chant? Read the full interview at Toronto Review of Books, here. Check out the latest Special Issue of Critical Studies in Improvisation / Études critiques en improvisation (Vol. 9, No.1): Ethics and The Improvising Business, guest edited by Mark Laver and Tina Piper, with house editor Ajay Heble.